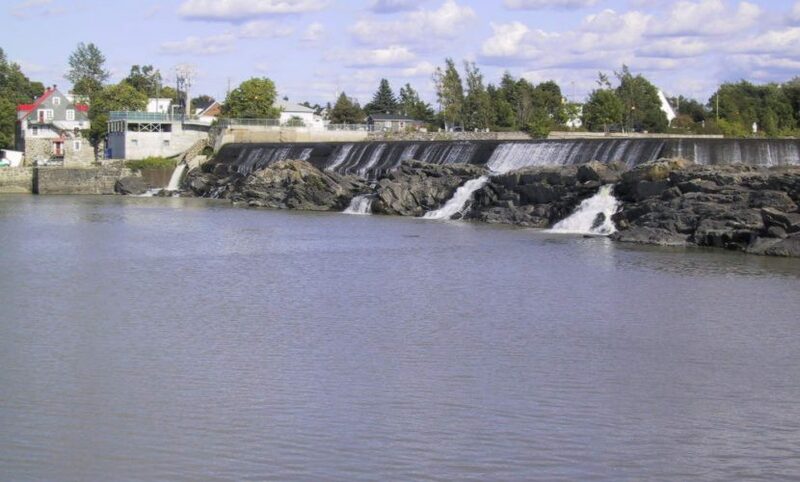 Montmagny is a run-of-river hydroelectric facility located on the Du Sud River, in the town of Montmagny. This town is on the south shore of the St-Lawrence River, between Québec City and Rivière-du-Loup. This facility obtains water from the Du Sud River, which has a drainage area of approximately 1,927 square kilometres. This run-of-the-river hydroelectric power generating facility holds five single-regulated Kaplan-type turbines. The power generated is transmitted to Hydro-Québec’s grid through a short overhead line. The expected annual production of electricity of the Montmagny Facility is 8,000 MWh. This facility has a rich history dating back to 1746, when the local lord had a flour mill built on the site. A flour mill was built there at the beginning of the 20th century. It was replaced by a hydroelectric plant and dam around 1930 by the Price Brothers company. The facilities were destroyed by fire in 1978 and then restored and put back into service. Innergex acquired the power plant in December 2000. The plant was upgraded in 2001 to become fully automated and may be operated locally as well as remotely.